First days at Reception with Aj! | Call Me Mummy!! So the first day of school came after a rather quiet weekend and week. We had another playdate with her classmates at a soft play on Tuesday afternoon. 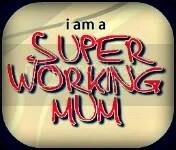 I got to meet a few other mums including some from other classes as well so it was pretty busy, in a good way! I got to work from home that day so after the soft play I took her back to nursery so I could get some actual work done! The first few days have been really good. One of my favourite parts of the day is when they finish and each of the kids gets to shake their teacher’s hand and walk to their parent, it’s so cute! Aj is already making friends especially as she’s met a few of them before school started and she already has 2 birthday parties to attend in September and October from her classmates! We’ve got another week of half days to go through then the homework will start coming through! I’ve heard some horror stories about homework but I don’t think that’s in reception. That said, the school did say they’ll be getting about 2 – 3 once a week when they’re fully settled so that’ll be interesting… This should be on reading, spelling and numbers. The school use an online learning tool called Tapestry for the Reception class to share personal achievements and monitor progress, including videos and pictures! They also use it at the kids’ nursery so I actually get to see some pictures of the activities they do during the course of the day. I think it’s great to see more and more schools embracing technology and not shying away from it! I’m really looking forward to getting involved with this even more and sharing some moments there too! Oh and this also happened over the weekend! Yes, cousin Jj also started school last week, how they’ve both grown since when they first met! I’ll tell you all about the weekend we had when Jj did he’s first sleepover at ours! Awww…she looks so cute and confidence in her uniform. Is Reception like Kindergarten or First grade? Pingback: Settling into Full-time Reception | Call Me Mummy! !